Whether you’re a small business, a large employer or a membership association, Wider Wallet provides an exciting and effective way of rewarding the people who matter to you. 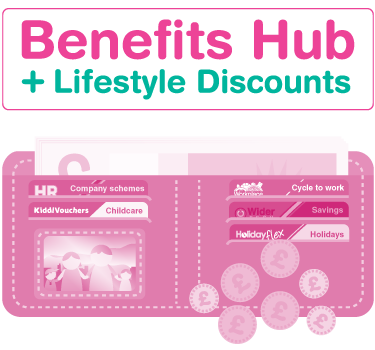 For a full voluntary benefits portal simply choose or upgrade to Wider Wallet Benefits Hub - all the benefits of Wider Wallet Lifestyle Discounts, plus easy access to your wider employee benefits. Designed to improve employee communications, drive take-up of benefits and rejuvenate your rewards package, the ease of working with Wider Wallet Benefits Hub is a breath of fresh air. Integrate your existing company benefits schemes, keeping everything in one place. 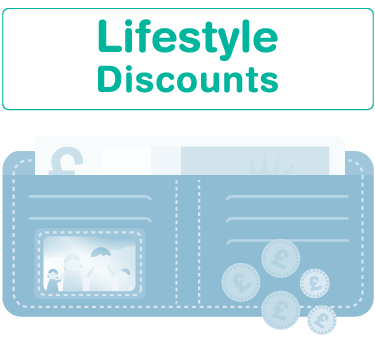 As a stand-alone discount package Wider Wallet Lifestyle Discounts provides a wide range of better-than-public deals, with local and national offers, discounted gifts, cashback and seasonal promotions. The privilege of accessing private deals provides a feel-good factor for employees and members, boosting their engagement with your organisation. Offer your employees opportunities to save money on their purchases. With a wide range of options to meet the needs of every organisation, Wider Wallet offers a flexible and cost-effective solution to help you make the most of your benefits package.